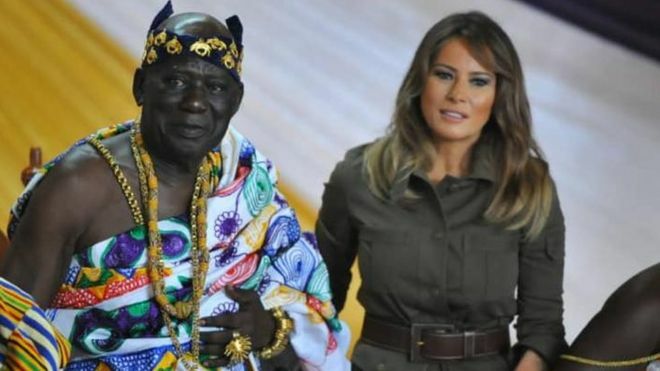 From Ghana, Melania Trump will visit Kenya, Malawi and Egypt, which she describes as the "four beautiful and very different countries in Africa" before concluding her Africa tour. 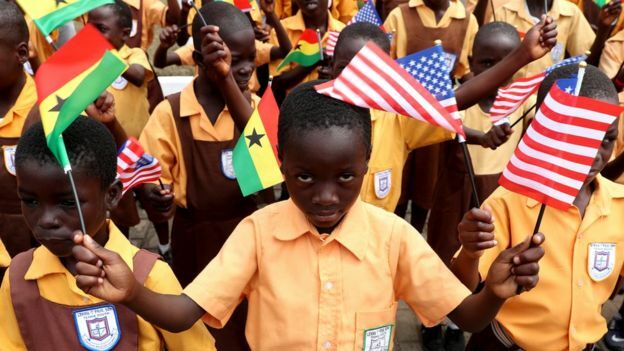 As announced, US First Lady Melania Trump arrived on Tuesday in Ghana for the first session of her solo trip to Africa. On her second day in Ghana, the first lady has decided to visit a former slave fort in Ghana. At Cape Coast Castle in the 17th Century slaves were stripped naked before being taken to be sold to their slave masters. “dungeon is really something that people should see and experience” and “what happened so many years ago is really a tragedy,” Mrs Trump said. From Ghana, Melania Trump will visit Kenya, Malawi and Egypt, which she describes as the “four beautiful and very different countries in Africa” before concluding her Africa tour. Mrs Trump intends to spend a whole week in Africa helping with children welfare. To achieve her aim of providing humanitarian aid, the first lady visited the Ridge Hospital in the capital, Accra together with Ghana’s First Lady Rebecca Akufo-Addo. “She is interested in Africa because she has never been there before and knows that each country will have its own unique history and culture.” Stephanie Grisham, her communications director, said. “My final stop, which is Egypt, will focus on the country’s tourism and conservation projects,” Mrs Trump said.